3. 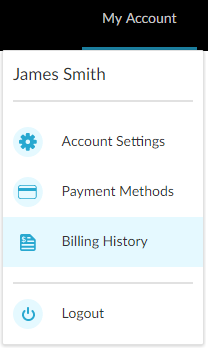 Under Billing History, check the invoice that you want to download. To select all invoices, check the Select All check box in the top row. 4. Under the invoices table, click the Download icon. The downloaded file or files are in PDF format and appear on your hard drive in the Downloads folder. You have successfully downloaded the invoice(s) to your computer.